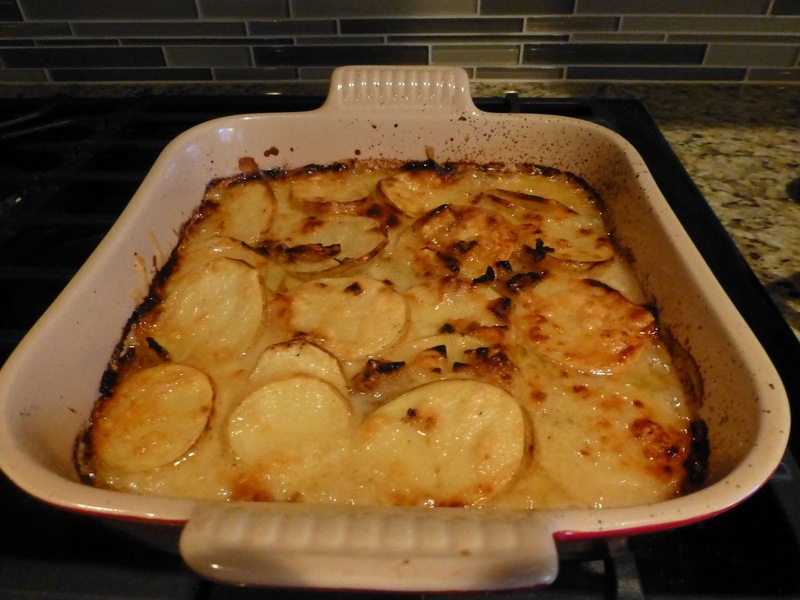 Yet another wonderful thing to do with potatoes. My favorite friend of the potato is cheese, making this a perfect accompaniment to any meal. I used gruyere, but any cheese would do! Preheat oven to 350. Butter a 9x9 baking dish (or whatever you have..I'm guessing mine is 9x9). Melt the butter on medium heat in a large sauce pan. 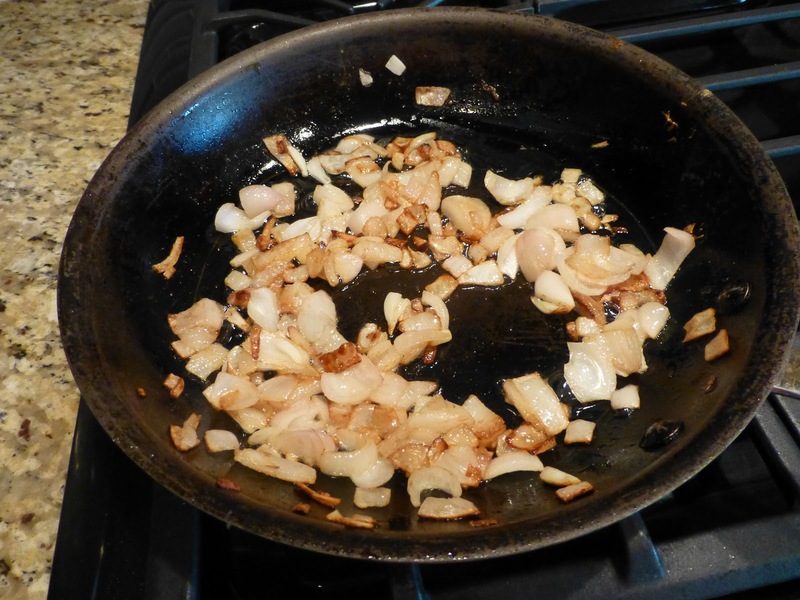 Add the shallots, and cooked until translucent, about 5 minutes or so. 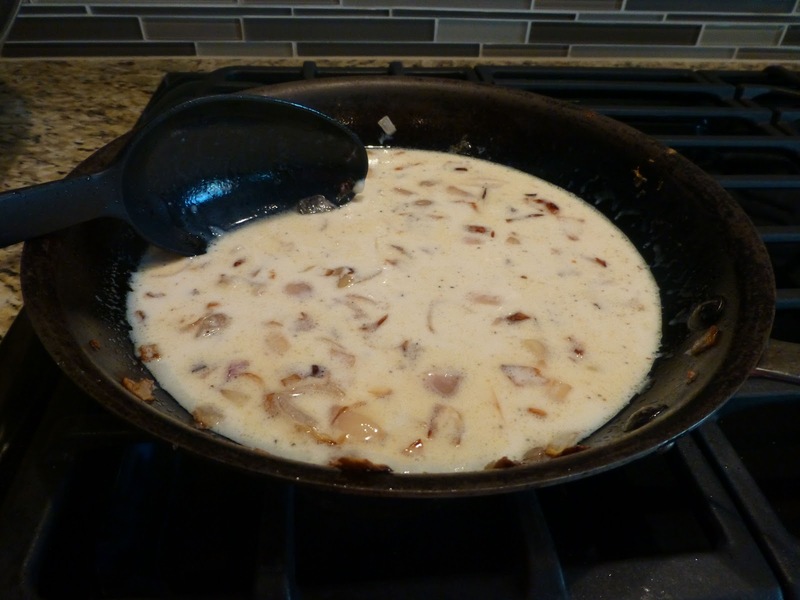 Whisk the milk and corn starch together, and add to the shallots. Stir until the mixture starts to thicken, then remove from heat. 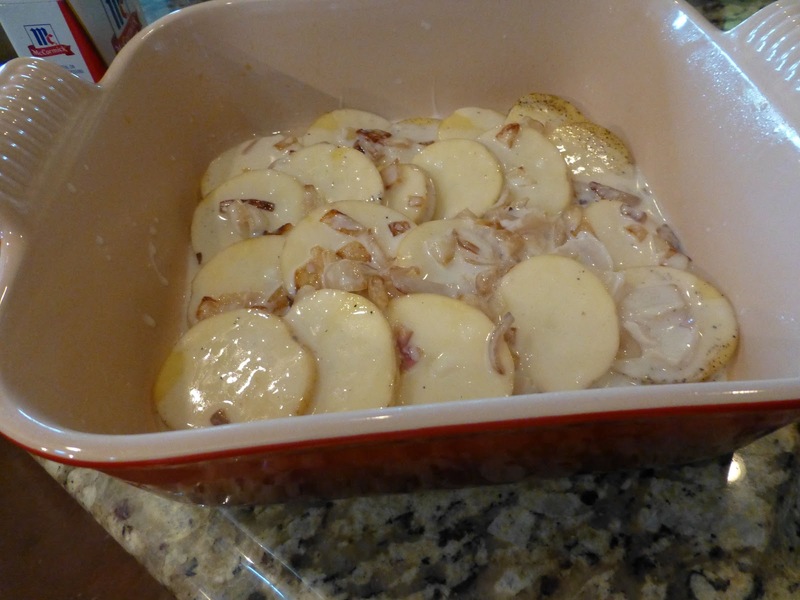 Lay one layer of potatoes in the baking dish, then pour 1/3 of the milk mixture over them. 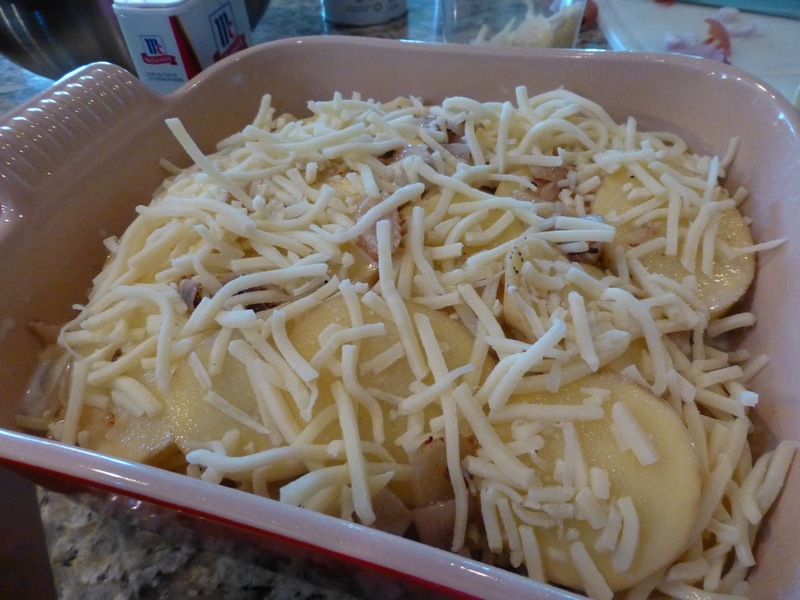 Then sprinkle with 1/3 of the cheese. 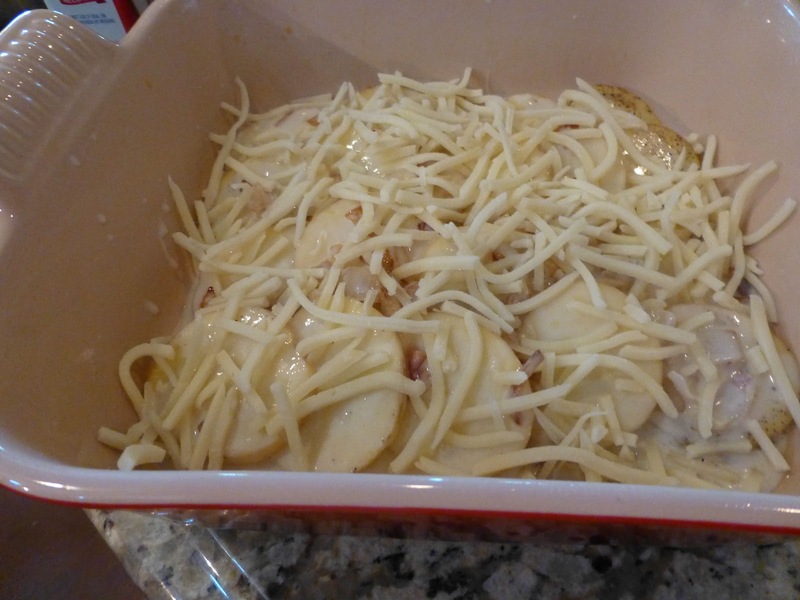 Repeat with two more layers, leaving lots of cheese for the top. Cover, and bake for 40 minutes. Remove cover and bake for another 20. Turn on the broiler for 5 more if you want a bubbly brown top (and who doesn't? ).